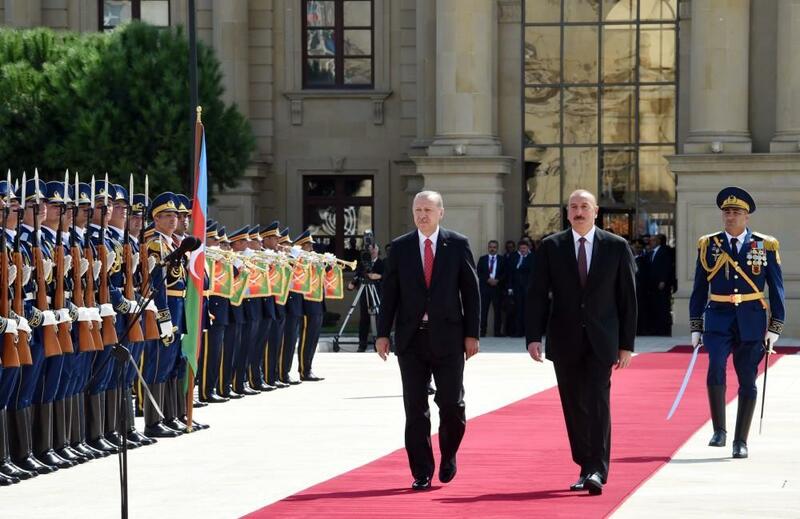 An official welcome ceremony has been held for President of the Republic of Turkey Recep Tayyip Erdogan, who is on an official visit in the Republic of Azerbaijan. 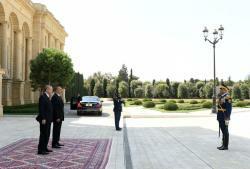 A guard of honor was arranged for the President of Turkey in the square decorated with the national flags of the two countries. 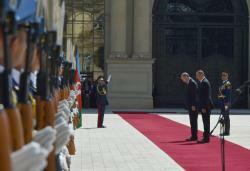 Azerbaijani President Ilham Aliyev greeted President of the Republic of Turkey Recep Tayyip Erdogan. 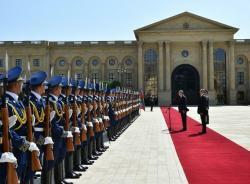 The chief of the guard of honor reported to the President of Turkey. 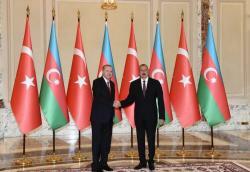 The national anthems of the Republic of Turkey and the Republic of Azerbaijan were played. 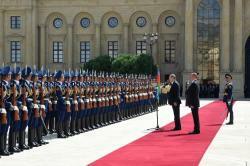 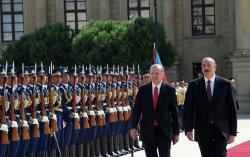 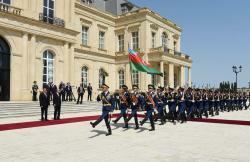 The President of Turkey saluted Azerbaijani soldiers. 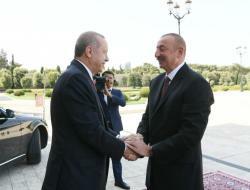 State and government officials of Azerbaijan were introduced to President Recep Tayyip Erdogan and members of the Turkish delegation were introduced to President Ilham Aliyev. 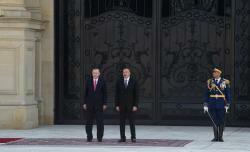 President of Azerbaijan Ilham Aliyev and President of Turkey Recep Tayyip Erdogan posed for official photos.